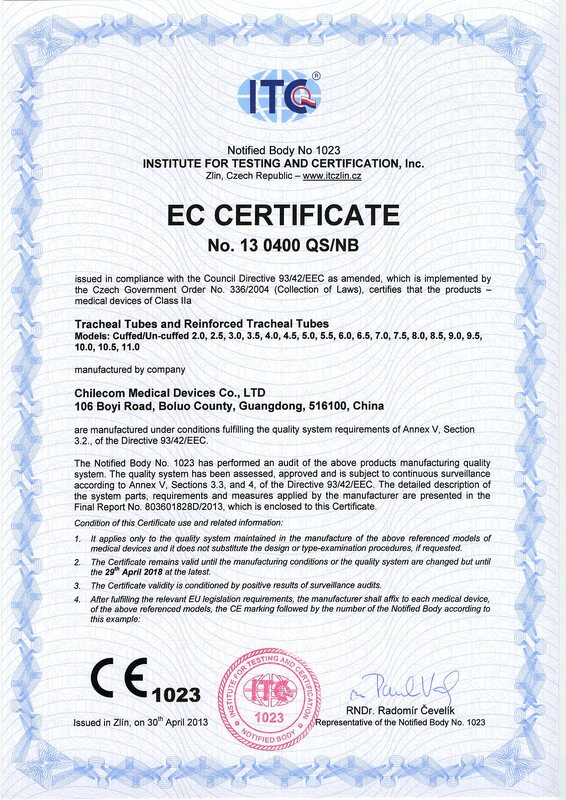 Chilecom Medical Devices Co., Ltd., is a manufacturer and exporter that specializes in the development production and marketing of medical devices. Our mission is to aid medical professionals in delivering quality health care to the patients they serve. The management team is led by Mr. Wenzhi She. Mr. She has in excess of 20 years experience in the field of medical device research and development. The manufacturing site in Boluo County, Guangdong Province conveniently locates us with in 100 km of Guang Zhou, ShenZhen, and Hong Kong Airport. Thus putting us in easy reach of transportation and shipping hubs. The facility occupies 5,000 square meters. 1,500 meters of which are class 100,000 clean room. All manufacturing processes are run under ISO 9001:2000, ISO 13485:2012 and MDD 93/42/ECC. ©CopyRight Chilecom Medical Devices Co. Ltd.